Description. Little brown myotis are small bats, but medium-sized among the species of Myotis in Washington (Table 5). Dorsal coloration is variable, with individuals in Washington ranging from yellow or olive in the subspecies M. l. carissima to blackish in Myotis l. alascensis (van Zyll de Jong 1985, Nagorsen and Brigham 1993). Underparts are noticeably paler. The fur is usually longer and glossier than in other similar Myotis species. Ears and flight membranes are dark brown. Ears reach the tip of the nostril when pressed forward. The tragus is about half as long as the ear and blunt. The hind foot is relatively large, exceeding half the length of the tibia, and the calcar is not keeled. Little brown myotis and Yuma myotis are closely similar in appearance, which can make identification difficult. Little brown myotis usually feature glossier dorsal fur, a gradually sloping forehead, and slightly longer forearms than Yuma myotis, but these characters are variable and therefore unreliable for separating the two species (Weller et al. 2007, Rodhouse et al. 2008). Weller at al. (2007) obtained about 90% reliability in identifying the two using a combination of forearm length and echolocation call characteristics, but recommended use of genetic testing to obtain complete certainty of identification. Taxonomy. Five subspecies are recognized (Simmons 2005), with two present in Washington (Fenton and Barclay 1980). Myotis l. alascensis occurs west of the Cascade crest and in southeastern Washington; M. l. carissima is present elsewhere in eastern Washington. Distribution. The range of the little brown myotis extends across most of North America from the forested portions ofAlaska and northern Canada southward to California, Colorado, and the southeastern U.S. (Fenton and Barclay 1980; Appendix A). The species occurs throughout Washington (WDFW WSDM database). Some records may be erroneous because of past confusion with Yuma myotis. Population status. Despite a severe recent population collapse in the northeastern U.S. due to white-nose syndrome (Frick et al. 2010b), this species remains one of the most common and widespread bats elsewhere in North America, including in the Pacific Northwest (Nagorsen and Brigham 1993, Holroyd et al. 1994, Verts and Carraway 1998). In Washington, it typically ranks as one of the most common species along both flanks of the Cascades (West et al. 1984, Thomas 1988, Frazier 1997, Petterson 2001, Christophersen and Kuntz 2003), in northeastern Washington (Campbell 1993, Sarell and McGuinness 1993), at various locations in the Columbia Basin (Fleckenstein 2000, Rosier and Rosenberg 2006, Lindsey et al. 2012; BLM, unpubl. data), on the Olympic Peninsula (West et al. 2004), and at some lowland sites elsewhere in western Washington (Dalquest 1940, Falxa 2005, 2008a). Studies from the Cascades, the Olympics, and the Columbia Basin that have lumped little brown myotis and Yuma myotis because of identification problems suggest that little brown myotis may be common or fairly common at additional locations (Christy et al. 1995, Taylor 1997, Erickson et al. 1998, Jenkins et al. 1999, Gitzen et al. 2002). Several surveys have reported it to be relatively rare in eastern Washington (Fleckenstein 2001a, Baker and Lacki 2004). Rodhouse et al. (2012), drawing on Bat Grid data, estimated the probability of occurrence of the species in 100-km2 grid cells across Oregon and Washington to average about 90%, but was as low as 38% in the drier unforested portions of the region. Habitat. This species is a habitat generalist that uses a broad range of ecosystems. In Washington and Oregon, it occurs most commonly in both conifer and hardwood forests, but also occupies open forests, forest margins, shrub-steppe, clumps of trees in open habitats, sites with cliffs, and urban areas (Whitaker et al. 1977, 1981a, Johnson and Cassidy 1997, Verts and Carraway 1998, Lindsey et al. 2012, Rodhouse et al. 2012). Within these habitats, riparian areas and sites with open water are usually preferred. Elevations up to tree line are inhabited, with males being more common than females at higher elevations. Roosts and roosting behavior. Day roosting occurs in a variety of sites, including buildings and other structures, tree cavities and beneath bark, rock crevices, caves, and mines (Fenton and Barclay 1980, Nagorsen and Brigham 1993, WBWG 2005). Reproductive females usually live separately from males and non-reproductive females, forming maternity roosts at sites with warm (30-55°C) (86- 131°F), stable temperatures that facilitate rapid development of the young. Nursery colonies contain anywhere from a dozen individuals to more than 1,000 bats (van Zyll de Jong 1985, Nagorsen and Brigham 1993). The largest known maternity roost of little brown myotis in Washington contains about 1,000 adults and roosts together with about 2,000 adult Yuma myotis under an abandoned railroad trestle near Olympia (Falxa 2007b, 2008b). Tree-roosting reproductive females commonly use older patches of forest and select for taller, large- diameter trees (Table 3; Kalcounis and Hecker 1996, Crampton and Barclay 1998). Roost trees are often in the early stages of decay and have deep cavities. Tree-roosting colonies are transient, with individuals moving frequently between roosts (Crampton and Barclay 1996). Reproductive females frequently use torpor while day roosting (Dzal and Brigham 2013). Day roosts of adult males and non-reproductive females include buildings; crevices and cavities in live trees, snags, stumps, and beneath stones; and caves (Fenton and Barclay 1980, Kalcounis and Hecker 1996). Males and non-reproductive females commonly enter torpor when day roosting (Fenton and Barclay 1980). Males and non-reproductive females are more nomadic than reproductive females and usually live singly or in small groups (Barclay 1991). Tree roosting males often prefer large live trees and snags harboring fungal heart rot (Kalcounis and Hecker 1996). Buildings and bridges serve as night roosts for adults and juveniles of both sexes (Perlmeter 1996, Adam and Hayes 2000). Females often gather in clusters in night roosts. Greater use occurs on cooler nights, when bats are probably attracted to the warmer temperatures within roosts. Reproductive condition of females also influences use. Pregnant females are known to occupy night roosts, allowing them to reduce energy expenditures while also maintaining high body temperatures to ensure rapid embryo development (Barclay 1982). However, females with non-volant pups return to maternity roosts to nurse their young (Henry et al. 2002; G. Falxa, pers. comm.) and therefore may forego most night roosting. Hibernacula are poorly known in the West, but include caves, abandoned mines, and lava tubes (Senger et al. 1974, Nagorsen and Brigham 1993, WBWG 2005). Hibernation generally occurs from September or October until March or April (Nagorsen and Brigham 1993, Maser 1998). Although winter roosts often contain thousands of individuals in other parts of North America, little brown myotis have thus far only been found hibernating singly or in small clusters in the Pacific Northwest (Perkins et al. 1990, Nagorsen and Brigham 1993). Hibernation has been confirmed in Washington (Senger et al. 1974), but the extent to which resident breeding bats winter in the state and their locations are unknown. Both sexes appear to hibernate together. Within hibernacula, microsites are preferred where humidity is high (70-95%) and temperatures remain above freezing (1-5°C, 33.8-41°F) (Nagorsen and Brigham 1993). Hibernating individuals lose about 25% of their weight during winter, thus acquisition of sufficient fat reserves before hibernation is essential for overwinter survival (Kunz et al. 1998). Reproduction. Mating mostly occurs in late summer and early autumn during swarming before hibernation and may continue into winter (Thomas et al. 1979, Fenton and Barclay 1980, Nagorsen and Brigham 1993). Males sometimes copulate with hibernating females (Wai-Ping and Fenton 1988). Ovulation and pregnancy are delayed until after hibernation ends in spring, with gestation lasting 50-60 days (Fenton and Barclay 1980). Females give birth to a single pup per year; twins are rare. Births probably occur earlier at lower elevations than at higher elevations (Nagorsen and Brigham 1993). Births occur in June in western Washington (G. Falxa, pers. comm. ), from early June to mid- July in the dry interior of British Columbia (Fenton et al. 1980, Herd and Fenton 1983, Grindal et al. 1992, Holroyd et al. 1994), and from late July to August in the western Cascades of Oregon (Perlmeter 1996). Young can fly by three weeks of age (Fenton and Barclay 1980). Births may be substantially delayed or reduced in years with cooler wetter weather (Grindal et al. 1992, Burles et al. 2009). Some females breed in their first autumn, but most delay doing so until their second year (Herd and Fenton 1983). Males do not breed until their second autumn. Survival rates are lower in juveniles (23-46%) than in adults (63-90%; Frick et al. 2010a). Food habits and foraging. Emerging aquatic insects (especially midges) are major prey, but moths, beetles, non-aquatic flies, a variety of other insects, and spiders are also taken (Fenton and Barclay 1980, Barclay 1991, Whitaker and Lawhead 1992, Adams 1997, 2003, Moosman et al. 2012). Flies, moths, and beetles are primary prey in eastern Oregon (Whitaker et al. 1981a), whereas flies, caddisflies, and moths are important in western Oregon (Whitaker et al. 1977, Ober and Hayes 2008a). Several studies have examined diet in British Columbia, with principal prey listed as follows: midges in spring and caddisflies and mayflies in summer in the Okanagan Valley (Herd and Fenton 1983); flies, moths, neuropterans, and hymenopterans on northern Vancouver Island (Kellner and Harestad 2005); and moths and flies in the Queen Charlotte Islands (Burles et al. 2008). Little brown myotis possess low wing loading, low aspect ratios, rounded wing tips, and high frequency echolocation, which give the species maneuverable flight and allow it to specialize on small insects (Ober and Hayes 2008a). Foraging is often concentrated over or near water, but also occurs along forest edges, in forests, over lawns and streets, and in other cover types (Herd and Fenton 1983, van Zyll de Jong 1985, Barclay 1991). Feeding is most active during the 2-3 hours after dusk when insect activity often peaks (Herd and Fenton 1983, Lunde and Harestad 1986). Additional foraging bouts follow during the night intermixed with visits to night roosts. Foraging commonly occurs within 5 m of the ground, with both circular and zigzagging flight patterns used (Whitaker et al. 1977, Fenton and Barclay 1980, Adams 1997). Most prey is captured in the air and consumed in flight (Nagorsen and Brigham 1993). Nightly foraging movements usually range 1-14 km from day roosts (Henry et al. 2002, WBWG 2005; G. Falxa, pers. comm.). Nursing females may return several times to the maternity roost during the night (Crampton and Barclay 1998; G. Falxa, pers. comm.). Seasonal movements. In eastern North America, individuals may travel up to 1,000 km between summer roosts and hibernacula (Fenton and Barclay 1980, Wilson and Ruff 1999, Norquay et al. 2013). Little information exists on seasonal movements in Washington or elsewhere in the West (WBWG 2005). Threats. Threats include deforestation and associated loss of snags, use of pesticides, destruction of caves, closure (i.e., blockage) of mines, and localized use of cyanide in mining (Fenton and Barclay 1980, Parker et al. 1996, WBWG 2005, NatureServe 2009). This species often occupies human structures and is vulnerable to pest control operations (WBWG 2005). It is also susceptible to disturbance of breeding colonies and hibernation sites. 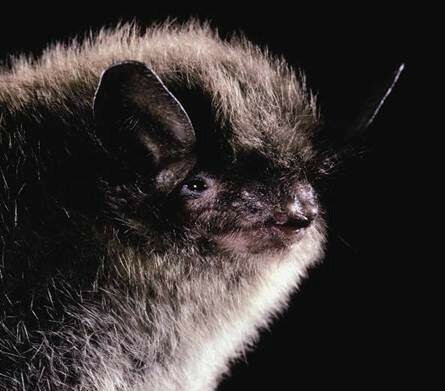 Little brown myotis are severely affected by white-nose syndrome in the eastern U.S. (Veilleux 2008). Conservation measures. Protection of roosts is a priority for conservation. Where appropriate, steps should be taken to preserve or replace human-made structures used as roosts and to reduce disturbance. Where eviction from buildings is necessary, actions (e.g., use of suitable exclusion methods, installation of nearby bat houses) should be taken to attempt to reduce negative impacts to bats. In forests, retention and recruitment of large snags (e.g., McComb and Lindenmeyer 1999), decadent trees, and hollow trees is important. On intensively managed forests, management agreements and incentives for protecting large-diameter roost trees are desirable (Hayes 2003). Maintaining remnant patches of structurally diverse forest with abundant large snags is another protective strategy (Waldien et al. 2000). Providing snags and roost trees within 2-3 km of open water or riparian areas is probably beneficial by providing ready access to drinking and foraging sites (Hayes 2003). Maintaining potential roosts across a range of topographical positions is also desirable. During roost surveys, precautions should be taken to reduce disturbance.